Sukham Ayu Care Wellness Clinic - Wholesaler of ayurveda treatments, ayurveda therapies & Panchakarma Therapy Course. Service description: This is a very informative course with a well balanced proportion of theory and practicals, useful for both beginners and those with good understanding of Ayurvedic methods. - Government of India agreed company certificate affiliated. - Affiliated with Kanakaveda Ayurvedic Clinic & Panchakarma Centre. - Food and accommodation facility. SKK Ayurveda & Panchakarma in India is offering Ayurveda massage and panchakarma therapy courses to enrich your knowledge at an affordable fee structure. In addition to the above courses, the Center provides customized training programs according to the needs of the students. This short course contains information on basic principles of Ayurveda, identification of body types as per Ayurvedic Methods and different Ayurvedic Massages. The study consisted of two parts: a cross-sectional comparison and a longitudinal pre and post treatment. It was designed to examine the level of contamination by toxins in the population and the effectiveness of Panchakarma treatment in eliminating these poisons. Ayurveda Retreat Hospital Pvt. 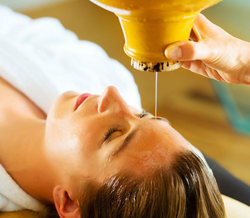 Ltd.
Panchakarma is one of the unique therapeutic procedures in Ayurveda advocated for the radical elimination of disease causing factors and to maintain the equilibrium of doshas. As the wastes are eliminated from the body, the person becomes healthy. - Syllabus - Fundamentals of Ayurveda, Types of treatment in Panchakarma Therapy, special Therapies like steambath, massage, dhara etc. (Pancha= five; karma= therapy) These are the five of internal cleansing techniques such as Vamana, Virechana, Basti, Nasya & Rakthamokshana. This detoxification program bring astounding results in relieving variety of physical & mental disorders. Medicated enema therapy. It has very important role in treatment of vata dosha, as rheumatoid arthritis, facial paralysis, gout, cardiac problems, backache, sciatica, vertebral disc prolapsed & other pains in joints. Basti controls diseases of the eyes, hair loss & give complexion to the skin. - This course is meant for creating good assistants to those Ayurvedic practitioners who practice Panchakarma. Our training wing, School of Ayurveda and Panchakarma was started few years back with the aim to provide a professional training for those aspiring students of Ayurveda.